Wellness® CORE® RawRev™ is a brand new dog food offered by Wellness that allows you to incorporate raw food easily and safely to every meal. High-protein, grain-free kibble is combined with 100% raw meat pieces to create a savory, nutrient-rich meal packed with everything your dog needs to thrive from the core. Welcome to the Raw Revolution! So we all love our dogs and cannot get enough of taking good care of them, treating them right and feeding them good, right? I know first hand how hard it is to find the right balance and flavors that will appeal to my dog and I am sure there are so many of you out there still on the hunt. 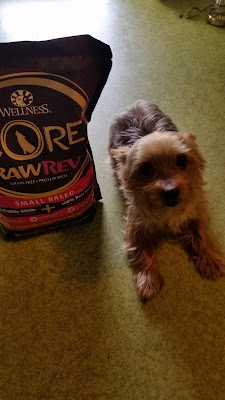 Well, I have been lucky enough to introduce my dog to Wellness® CORE® RawRev™ and I am so happy that she enjoyed it. 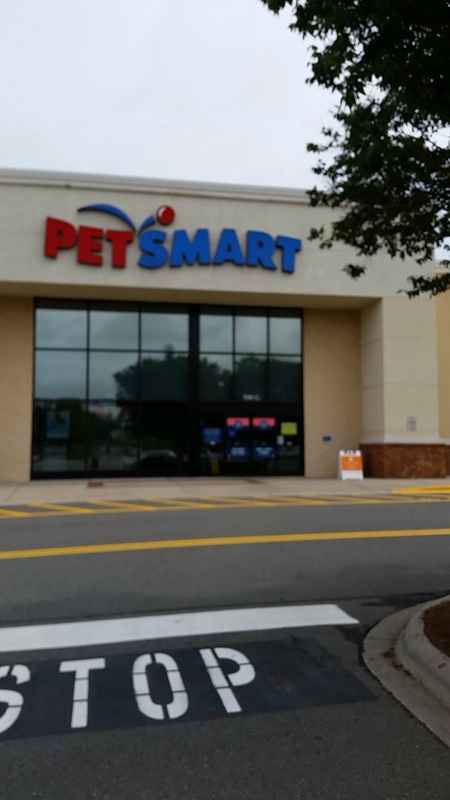 I think that personally I found it to be easy to get out of the package and serve without any hassle and I know that my furbaby took right to it. Sometimes she can be super picky and will hide the food I give her or just look at me like I am doing the wrong thing for her. This is one of those times when I knew for sure from the way she tried and then kept eating it, that I was hitting a home run. I also noticed that she did not have to over drink any water when completing her tasting and she seemed completely filled. I would recommend this really to any dog out there to try it at least once. I know that times are tough and many people can not really afford to buy expensive foods for their fur babies, so I was happy to see that this food comes in different sizes and flavors. Especially because you can try it without breaking a budget. I think the Wellness brand have really stepped up to the plate with this food in a way that not only makes you feel super good about treating your loved one (dog) but also by letting you feel proud that you have a fine set of ingredients that will keep your dog healthy, in shape and feeling good. You can feed this as a snack but I feel like the more you get your dog used to it, the easier a full time switch can be. If you have ever tried this brand, please leave a comment and let me know how you feel about it. Plus you can Unleash The Power of Raw. Raw Nutrition Dog Crave. Balanced Nutrition They Need with Wellness® CORE® RawRev™ and Buy One, Get One 50% Off by visiting PetSmart . Sounds like an easy way to try raw food. Your dog is such a cutie!